A dangerous practice is to refuse treatment or not change a drug despite your doctor’s recommendation, because you think it may affect the cost of your travel insurance. This does not work. If a doctor recommends a change in drugs, and you do not accept that change, the insurance company will treat this as an unstable pre-existing condition. A claim will not be paid for that condition. Please, just do what your doctor recommends and do not sacrifice your health for insurance reasons. Medipac can often provide full coverage if you contact us and explain your situation. Selecting Medipac Travel Insurance means choosing Quality, Value, Reliability and Financial Strength. The Medipac group of companies ("Medipac") has been developing and servicing specialized travel insurance products since the 1980s. Medipac is a trusted brand in the travel insurance industry, known for delivering comprehensive products and services that add value to customers' needs. Medipac's management team is comprised of a dedicated group of seasoned, licensed insurance professionals - all servicing our clients with 18 to 35 years of experience in the insurance business, and many belonging to various key industry professional organisations including the Canadian Society of Chartered Insurance Professionals, Advocis, Registered Insurance Brokers of Ontario and other provincial regulating authorities. Medipac is also a long-standing and founding member of the Travel Health Insurance Association of Canada with many employees within our group of companies devoting their time and energy to the association's work. Medipac's focus, drive and dedication, along with an excellent group of support staff, ensure the responsible development of our travel insurance products and their continued evolution for the long-term benefit of Medipac customers and their families while travelling. These characteristics have paved the way for the continued and exclusive endorsement of the Royal Canadian Legion (RCL) and the Canadian Snowbird Association (CSA). CSA is the largest organization of long-term and experienced travellers in Canada. Our affiliation with the CSA has remained strong since 1992. Medipac has assisted the Association in their ongoing advocacy to preserve and improve the rights of travelling Canadians and the Canada Health Act. 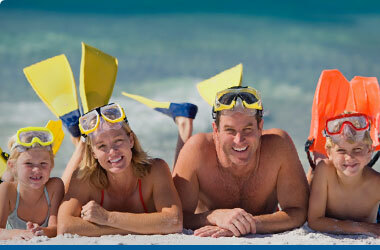 Medipac Travel Insurance Plan is underwritten by Old Republic Insurance Company of Canada.